Arthur Robert Howland was born in Thame in 1897. His parents William Watts and Annie Edden Howland (nee Orpen) had recently returned to live in Thame, after several years in Wollongong, Australia. His father was a successful local builder, and in 1911 they were living in 23 Queens Road. Arthur was the youngest of four brothers, Leslie, William, Frederick and Henry, all of whom also served in the war and survived. Arthur joined the local Territorial’s in 1913, and probably due to his age at the time being only 16, he was given the position of bugler. When war broke out, he was posted to the 2/4th (TF) Oxford and Bucks Light Infantry, (200228), and then the 6th (Service) Battalion. 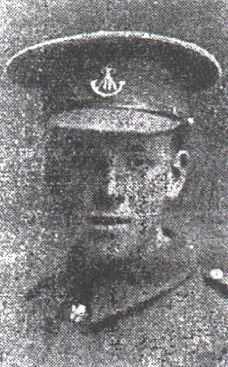 Private (Bugler) Arthur Robert Howland died on 20th September 1917, age 20, the first day of the Battle of Menin Road Bridge, during the Third Battle of Ypres. when 65,000 troops advanced on an eight mile front, screened by heavy mist and a stupefying bombardment. Although overall considered a successful attack, it was not without heavy losses, the 6th Battalion suffering over 200 killed, wounded, or missing. 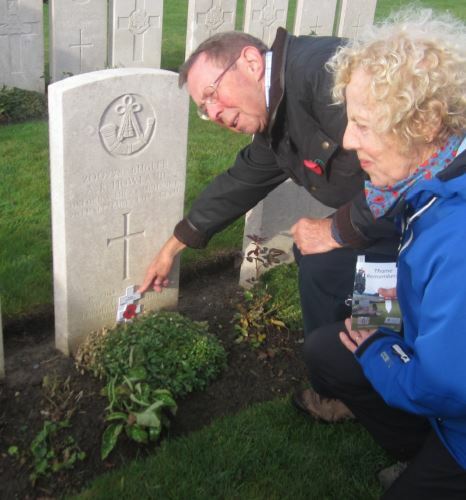 Arthur is buried in Bard Cottage Cemetery, Ypres. He is remembered on Thame War Memorial, and the memorial boards of All Saints and St Mary’s churches.